In Hollywood today we have friendships between directors and actors that have the power to produce cinematic masterpieces. From Leonardo DiCaprio and Martin Scorsese to Brad Pitt and David Fincher to Uma Thurman and Quentin Tarantino, some actor-director relationships spawn an amicable courtship that translates so well on screen that audiences never want the pairings to end. 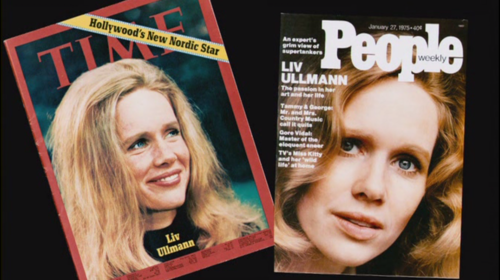 In the ’60s/’70s the world had the romantic yet professional connection between Norwegian actress Liv Ullman and director Ingmar Bergman. 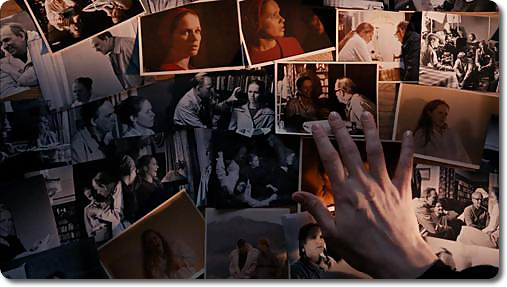 Bergman died in 2007, but Ms. Ullmann, still beautifully mesmerizing in her mid-70s, recounts their life-changing relationship on and off camera. Whether or not you know the legacy and impact these two created amicably and hostilely together, their partnership in this documentary reveals themes everyone can relate to unfolded in six chapters: Love, Loneliness, Rage, Pain, Longing and the the most powerful form of Friendship that can only be described as soul mates. 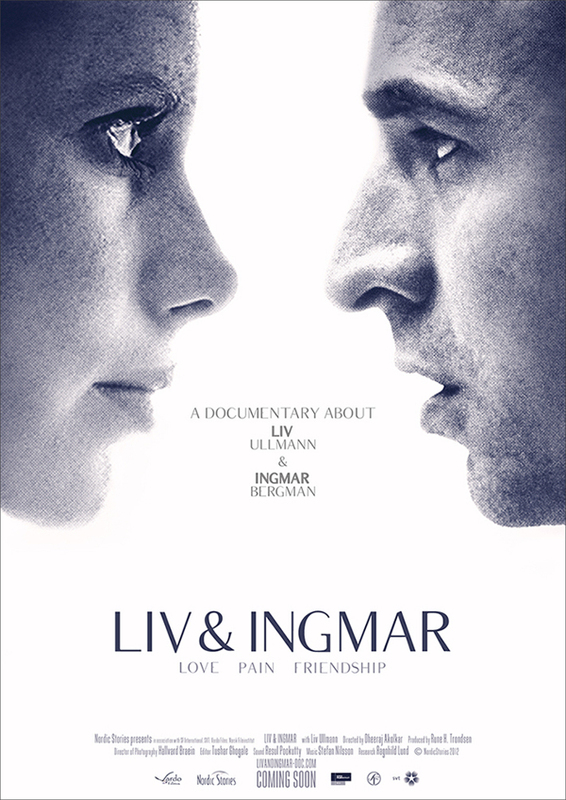 Liv and Ingmar is as affectionate as it is a heartbreaking account of the 42 years and 12 films long career of actress Liv Ullmann and film maker Ingmar Bergman whose collaborations include Persona, Cries and Whispers, Scenes From a Marriage and Autumn Sonata. 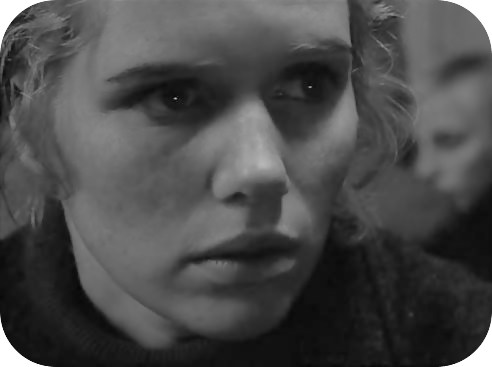 Bergman, 47, and Ullmann, 26, were both married to other people when they started filming Persona, but their connection overruled rationalization. The account is told through current interviews with Liv, images and clips from the collaborative Changing and Ingmar’s love letters to Liv. While it seems, at times, one-sided having the story told entirely from Liv’s perspective, the roller-coaster of highs and lows of their professional and personal relationship is a groundbreaking look at the reality of life and how passionate love mixes in-between. The documentary is more of a candid homage to two great artists whose friendship and love remained unconditional for decades until Ingmar’s death. Like many great love stories that peak at ultimate highs, the euphoria eventually is struck down by reality. In the case of Liv and Ingmar, Liv described her married life with Ingmar “like a prison” attempting to cope and rationalize his bouts of rage stemming from emotional insecurity. And like uber-celebrities today, the agony of their divorce after five years of marriage together became brutally scrutinized under extensive media coverage. Despite their breakup, the two formed an indescribable bond that spanned decades. But I couldn’t disagree more. Knowing absolutely nothing about Liv nor Ingmar gave me the opportunity to humanize this couple and relate to their struggles and conquests. 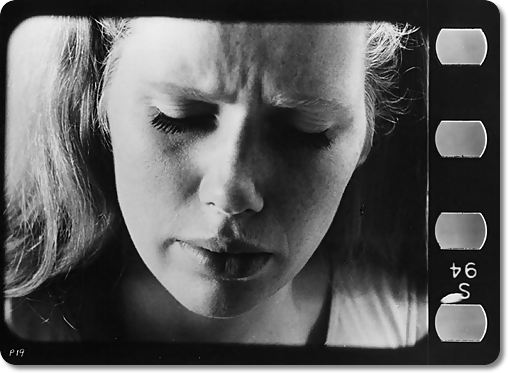 The scope may be limited to Ullmann’s accounts of the relationship, but this is her story and homage to Bergman. The indescribable connection between the two was palpable from the start transitioning to an enviably, unconditional friendship. That’s why this documentary struck a chord with me–by exploring human nature and understanding that the paths we choose in life ultimately shape the character we become regardless of the outcome. Catch Liv and Ingmar in theaters! Beautiful post! I haven’t seen any Ingmar films. I have two in my Blind Spot list, and a few more in my Netflix queue. This sounds so interesting, I’ll have to add it to my list too after watching some of his flicks. I’m embarrassed to admit that I knew nothing of the actress nor the director, but this doc made me fall in love with their partnership. Thanks, girl! I really liked this movie, but much of my appreciation for it was because I adore both Liv and Ingmar (and the films they made together) so much. Very, very interesting that you watched this doc without being familiar with their work. I bet that made for a unique perspective. Either way, I really enjoyed your review! Thanks! Absolutely no familiarity with either of them, but it made me so sentimental; what a fascinating relationship they had.